You can help restore the wild population of tortoises. How? Help raise a tortoise hatchling for a year. Give it a head start in life! In three years, your baby-tortoise should be large and stiff enough to fend for itself in the wild. Your tortoise will be cared for through its three years by our team who have been breeding and releasing this species for over 10 years. And in the last five years it has been documented that our efforts in head-starting and releasing young tortoises really works. First head-started young ones are already reproducing in the wild. Through programs like this, tortoise populations that were brought to near-extinction have been restored through reintroduction into former habitats. These programs receive no government support, and have been financed entirely out-of-pocket by our family. Funds generated from the Adopt a tortoise program will allow the Tortoise centre to upgrade its facility and increase the number of young tortoises for release. These are very cost effective, privately run conservation efforts. There are no overhead costs; all money goes directly to raising young tortoises to a size that helps guarantee their survival. You adopt a hatchling. The adoption fee will cover all of the major cost incurred for your animal up to the time of its release. The adoption fees will free up funds currently being used to maintain the animals, and thereby allow expansion of the overall program. Food, the cost of electricity (primarily for egg incubation, freezers for food storage, vitamins, veterinary work as needed, facility maintenance and security, and cost of transportation to release the animal. We currently head start and release over 100 tortoises per year. Your donation will allow to increase this number to 150 to 180 within a year. This one-year adoption fee allows us to release a young tortoise at a size where it is not likely to be bothered by predators. These animals have a life span near a century, so once an animal reaches adult size, it could continue to reproduce in the wild for 40 or more years. These adoptions make great gifts for your conservation-minded friends and relatives, and your donations also contribute indirectly to a program enhancing international educational awareness about the issues facing these creatures. You get to name the tortoise. In that the wild populations will continue to be monitored for decades after their release, the name you pick will stick with the animal and be used for our future record keeping. Each released animal is given its own unique permanent marking. Your tortoise can be recognized as an individual many years after release. You will receive information on its size and weight at the time of adoption, and at the time of its release. As the hatchlings can't be sexed until their 8 year, you have to assign a proper name. Reports directly to you will provide specifics about your adopted animal, as well as current information on the overall program. These reports can be forwarded in English. Information will be sent to you about the date and place of release accompanied by a photos of your animal at the release event. Later, reports on its wellbeing will be forwarded when your released tortoise is sighted in the wild. Unless otherwise requested, as a key donor to this program, your name will appear on all future promotional information produced by this conservation effort. 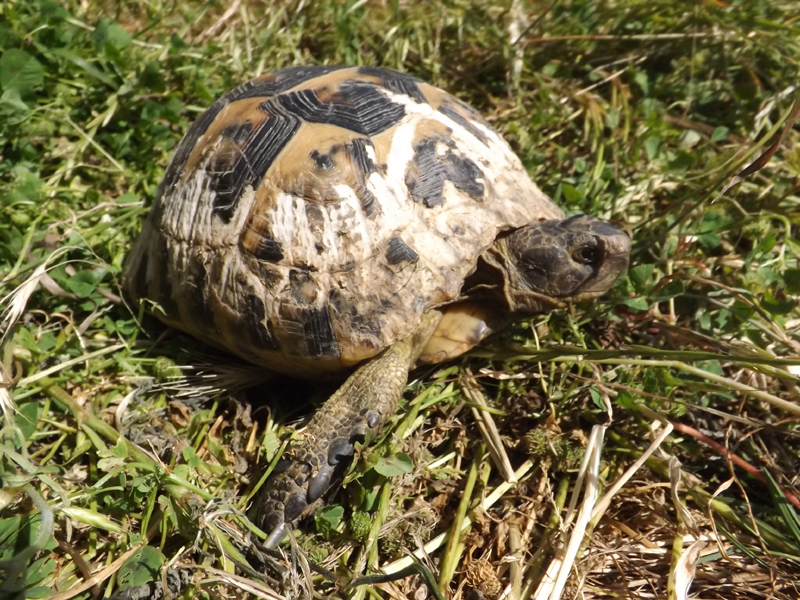 All information, photos (both of your hatchling and released tortoise, as well as photos of release site) and your adoption certificate will be sent to you electronically. 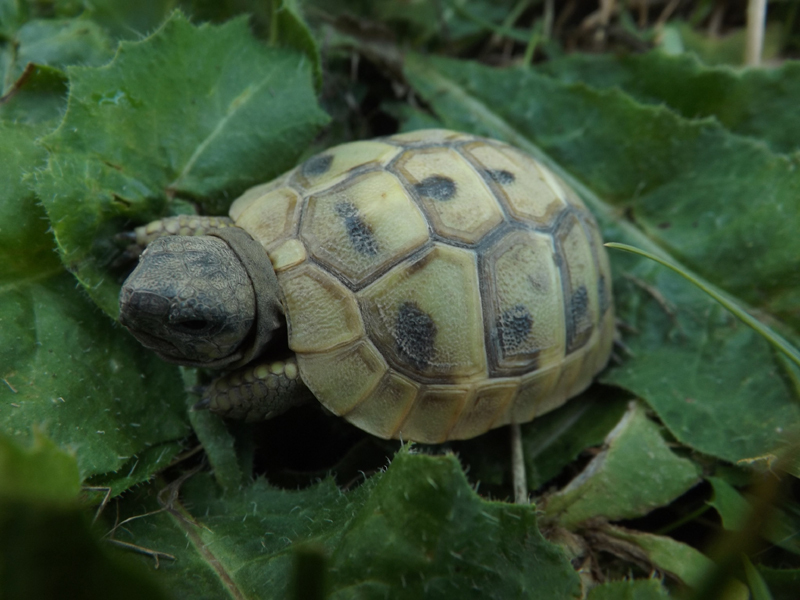 The tortoises hatch in early September, so if you adopt before that date we will also be able to provide you information on the clutch size, hatch date, size of your tortoise at hatching as well as the name and information on the mother, and in some cases, the father. Hint: This is perhaps the ideal present for someone who thinks they have everything. This adoption program is tax deductible. Donations can be made on line. For more information regarding how to make your donation, email . For corporate sponsors, we also have available sponsorships of the adult abused tortoises used in our breeding program until their release. We will provide photos of your adopted animal and report on its reproductive success for that year, as well as information on each of its young that are head-started and released. At this time, Tortoise centre has 11 forever hungry breeding adults available for adoption. In addition, a separate regional educational effort is under development to make the people aware of the plight of the species, and the efforts being made to bring the tortoises back from the brink of extinction. The present day survival of this tortoise is due almost entirely to this ongoing head start/release program.